My Magic+ Reviewed live from the Disney World Parks. We are at Walt Disney World doing a full 11 days of testing of everything Magic Bands. Listen to our full Disney Magic Band Review Show. Click Play. We have a large group so we are doing extensive Disney Magic Band testing. We are testing everything from checking into multiple Disney resorts, Your Disney Experience website setup, Adding multiple credit cards to a single Disney resort room, Using an Annual Pass, or Disneyland / WDW Multi-Annual pass (Premier Pass). We tried to test every scenario with the new Magic Bands and My Magic+ so we know the ins and outs and can share them with you. 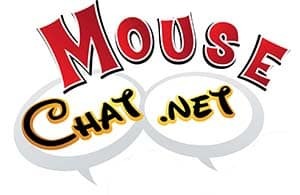 Be sure to listen to our Mouse Chat Podcast at the top of this page also for our reviews. The Magic Band is an RF ID bracelet that goes on your wrist. When you book a Disney World Resort Package (stay onsite at a Walt Disney World Resort), you will get your magic bands in the mail before your vacation. You can log on before your vacation and pick your Magic Band Colors and names for each Magic Band. The presentation of these bands is very well done. They come in a nice presentation box with your name displayed on the packaging by each band. It is very well done. I can’t see Disney mailing these like this in the long run, but for a roll out it is a nice touch. Oh and the names you select will be printed on the inside on each Magic Band. Everything is secure. There is no credit card number or information, other than your printed name on the band. DISNEY MAGIC BAND TIP: Wear your Magic Band on your flight to Orlando. Do not pack them in your luggage. You will need your Magic Band to check in at Magical Express and then you jump right on your bus to Disney World. Otherwise your bands are stuck in your luggage and you are not able to get into the park etc. What size and what color do the Magic Bands come in? The Disney Magic Bands are one size fits all and they are truly an ingenious design. The band fit our 3 year old and every shape and size in our party. They can be re-sized for kids by pulling apart the band to create a smaller size. They are also very secure. They snap on and off with two snaps. They are water proof, and we left one in the Griswold Family Truckster in Orlando FL heat on the dash. My Mickey Ear Hat ears got deformed but my Magic Band still worked flawlessly and did not melt or deform. The bands come is several colors if you select your bands before you go. If you do not order the band online before your vacation, you will get one at the front desk and those come in a grey color. The most popular color is Pink before purple came out later. Purple is currently the most popular Disney Magic Band color. The bands are comfortable but we did find them a little sweaty in the FL heat in the middle of summer. Disney World Park Entrance Turnstiles with Magic Bands. How do the Magic Bands work? The Magic Band is your key to everything! It is your room key. So you tap and open the door. You have to touch the mickey icon on your door precisely. So Mickey to Mickey to get the door to unlock. Same thing to get to a concierge floor with the elevator, just touch the Mickey on the elevator and the Concierge level floor button will light up. The only thing is, it can be tricky getting the band to line up exactly and we found ourselves contorting our wrists to get the door to open or the elevator to light up. You also use your magic band to charge. So you can buy food and merchandise at the resorts and parks and it will go on your room account and the credit card you have on that account. We also tested having a non-family member in several rooms. So two guests sharing a room that both want their own credit cards on account. You CAN do this, but during our testing we had issues getting pin codes and two credit cards to work with two different magic bands. We tested this with 6 different people and all three groups had issues with credit cards not being billed correctly and also in all three rooms one persons Magic Band would not work for charging at all. So this is a bug that Disney still needs to fix. You can also use Magic Bands for the Disney Dining Plan to use your dining plan credits. Do you want to use Photo Pass or Photo Pass+? You can scan your magic band instead of getting all those photopass plus cards. Event the interactive games like the Pirate adventure game at the Magic Kingdom you can play using your Magic Band and that worked well. Again with charging at the parks. It can be discouraging when your band pin was not setup correctly at check in and you find yourself not being able to charge at the parks. Also you have to touch your band to the credit card terminal Mickey to Mickey which is not very smooth and keying in your 4 digit pin code with the very small buttons can cause you to fat finger in the wrong pin code. But these are minor issues. The convenience is well worth it. And going to a Disney water park will be 100 time easier to pay now. Gone are the turnstiles and barriers to the most magical place on earth. Now you just walk up and touch your band, scan your finger and walk in. There are several touch points to enter the park all setup in V shapes so your entire family can get in at one time. This will make enter the park much faster and easier. Of course there are still issues being worked out. My tickets were not attached to my magic band so I could not get into the Magic Kingdom and the rest of my party could. Being in testing it took about two hours to get the situation corrected and a walk back to my hotel and again back to the park to finally get the ticket issue resolved. But I was with a conference and the only way to get my special tickets added to my band was back at the hotel. Normally you would just walk over to Guest Services at that park and they would fix the issue. I did see someone actually touch their bare wrist to the Mickey post that did not have a Magic Band and the Cast Member was trying to explain to them that they needed a park ticket to enter. One disadvantage is figuring out what park tickets you have left. You have to go to Guest Services to figure that out. And also the My Disney Experience App on your smart phone can be confusing as to if you have tickets on your magic band or not. So one cool feature to the Magic Bands is the new Fast pass Plus system that allows you and your group to select and schedule, in advance, your rides and attractions. Right now you can pick 4 rides / attractions for the Magic Kingdom and 3 at the other parks. So for example we picked the day time parade for 3 PM, Space Mountain, a character meet and greet, and one other ride. You can pick the times on your iPhone or Android device. The parade allowed us to access a special areas in the hub close to the castle, so we did not have to wait and find a good viewing location. The ride fastpasses are just that, fast passes so you get to take the shorter line to those attractions. One cool feature is you can change your fastpasses (based on availability of course). So if you are running late or want to change them, just pull out your phone and go into the App and update them. Bonus Magic Band Fast Passes – You can add an additional Fast Pass to your MagicBand once your 3 fastpasses have been used up. This means if you plan your fastpass reservations you can set them up to finish your 3rd fastpass earlier in the day and then pick a 4th fastpass. This worked well and was the highlight of the Magic Bands. So you no longer have to get to Disney Hollywood Studios and run to Toy Story Midway Mania. You just schedule your ride time on your App, or at a kiosk in the parks. We love this feature. It worked well on our Annual passes, Premier Pass, and 4 day park hopper tickets tied to our Magic Bands. It also worked well with our hard tickets when tested. The only problem was we always had one person in our party that the fast passes would not work on their band. The touch point mickey would flash Blue instead of Green. This happened for 10 days and we tried to have it corrected at least five times with a total of at least 6 hours of effort by different cast members. So this bug hopefully will be fixed soon. This did not however exclude that one person from riding with us. The cast members at all attractions understood that they should have the fastpass and let them join us on all of the rides. The My Disney Experience App really is required to make My Magic Plus and your Magic Bands, Fast Pass+ etc all work. You must have an iOS device or Android Device. You also should setup your account and play around with the application BEFORE your vacation. Book your dining reservations, FastPasses, etc. Also a good Authorized Disney Vacation Planner Travel Agency can help you with all this for no cost, and we recommend Pixie Vacations. 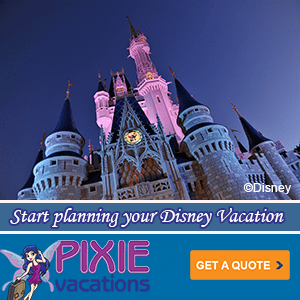 Pixie Vacations will sort all this out for you and their prices are the same as or could even be lower than booking directly with Disney. If you have already booked your Disney Vacation, you can still contact them. They maybe able to add their agency name to your Disney reservation so that they can help you with your My Disney Experience and other Disney vacation questions. Again it costs you nothing to use their service and if a better Disney Vacation offer becomes available they will even move you to the lower price. The App in itself is an entire article, but the highlights are you can see all your fastpasses and your groups fastpasses. Your reservations for dining, dining plan, park hours, maps etc. If you do not have an iOS or Android device there are kiosk at the parks, however we never did locate one during our 11 days at Disney World and heard that more will be rolled out soon. WIFI – There is WIFI at all Disney Parks and resorts now to allow you to use My Disney Experience, Disney Wifi is now working very well. Our earlier testing showed that you can connect to the Disney WIFI but getting any applications to work like Facebook, Instagram, Twitter, etc. But now WiFi works very well in all Disney World Parks. Disney Magic Bandits snap onto your Magic Band. But in testing we lost a bunch of them in the parks. There are definitely several bugs as we discussed, but those we feel will be worked out or were because of the extreme reservations at multiple resorts we had. The Magic Bands make charging, park admission and definitely Fast Pass access much easier. Also we are sure more cool features will roll out and be integrated into attractions. Maybe Cinderella will know your little ones names next time they come to see her. We would give Magic Bands during testing a B rating, but within 3-6 months this could easily get an A+. There are several new updates I want to share. 1. Resort guest can now get 3 fastpass reservations per day. 2. EPCOT and Disney Hollywood Studios have a tiered FastPass+ system. So you can only pre-book one what I will call E Ticket attraction and then two more A-D Ticket attractions. You pick one ride from group A and two rides from group B. 5. Resort guests can now go to a FastPass Kiosk to get two more Fastpasses once they use their pre-book FastPasses, or you can get the additional fastpass using your phone with the App. 6. Annual Passholders can now book their Fastpasses online in advance at My Disney Experience. As with Annual Passholders, the offsite day guests using regular single day or multi-day tickets are able to make FastPass+ reservation up to 30 days before their park visit. MagicBands will be available to purchase, although are not required to use FastPass+. The RFID enabled ticket media can serve as the entry to FastPass+ attractions in place of the MagicBand. The day guests will also have access to the ‘My Disney Experience’ apps and website, and will no longer be restricted to using in-park kiosks, although some kiosks will remain available for anyone who does not have access to an iPhone or similar device. To begin using advance FastPass+, guests will need to link their ticket in ‘My Disney Experience’ before any FastPass+ reservations can be made. This rollout to offsite guests largely completes the first phase of FastPass+ with most categories of guests now being able to make FastPass+ reservations in advance using ‘My Disney Experience.’ Walt Disney World resort hotel guests still maintain an advantage by being able to make reservations 60 days out. We had problem after problem with the bands. They told us because we were annual passholders but you guys didn’t seem to have a problem. We were locked out of our room on several occasions for extended periods of time while they recoded the bands, they did not work for park entry and the key to the world cards they tried to give us as backup did not work either because they were linked in the system. They also did not work for the dining plan. We stopped trying to use the band after the first day for dining and cast members were not happy when we insisted on using our key to the world card. All of our meals wound up being charged to the room (nice surprise at check out) but they were good enough to take care of the mistake. The biggest bummer of all was that because of the complications and hold ups we missed the villains Friday the 13th event at the studios and the mousechat dessert party. I explained the situation to conventions and we were promised a refund but it hasn’t happened yet. All in all I would say we would have had a much smoother vacation without the bands!!!! Thanks for the review Stacey. Yeah they still have a ways to go with getting all the bugs out. The dining plan sounds like it was a mess. Hopefully that’s fixed now or soon for others. So sorry we missed you at the Villains Party. The traffic to DHS that night was unbelievable. We have not gotten any refunds from Disney conventions, but we refunded everyone that got stuck at Disney, so you should have a refund on your PayPal account. Glad we got to go to Top of the World on your BDay and what a awesome cake. Hi, The magic bands you selected and got in the mail will be the ones you have for your trip. If you did not pick one prior to your vacation, you will get a grey one at your WDW resort at check in. You can purchase a different colored one at any of the Disney parks or resort gift shops for $12.95 or buy a Cover Band. We just returned from the marathon weekend and we had trouble getting our 10% discount on merchandise because our annual passes were on our wristbands. We were told that Disney does not have the ability to read the band for an annual pass so that you can receive your discount. Fortunately, I had our annual passes from last year that said 2013-2014 and the cast members accepted that as proof. When you are spending the amount of money that you do in Disney, the 10% adds up! Thanks a good point Tina. If you have an Annual Pass, the castmember still requires you have your AP card to get the 10% discount. I think this is so people can not take off their magic band and give it to a friend to get the 10% discount. But what prevents doing the same thing with a card? Or just having your friend give you the money so you could get the discount for them? There is no logical reason for not attaching the discount to the wrist band. Hope they fix that. The Annual Pass has your full name and they match that to a drivers license when making a purchase. This was great information as we are leaving end of October and we just received our magic bands. While listening to your podcast you made mention of photopass+ being part of the magic bands. So my question is that I have ordered and have in my possession my photopass+ voucher, so or course it was ordered before they migrated photopass to my Disney experience. So do I need to link this up somehow or when I get to Disney go I got turn in my voucher for the card/lanyard? I like the idea of it being connected to the magic band but not sure of the logistics. Thanks for all the great information it has helped planning our trip awhole lot easier. Instead of getting a Photopass card or using the one in your CD packet, they photographer just scans your Magic Band. That was rolled out last week, so it’s new. We used the wrist bands yesterday at Hollywood studios and today at magic kingdom. We were given them at check in at art of animation. Very very disappointed ! We were not told they were new and had bugs to be worked out. Kiosks very hard to find at magic kingdom. Cast members didn’t know where they were and a couple didn’t know WHAT they were. No signs for them and not listed on maps at park? The kiosks were not wirking 2 different times today. Had to wate in a long line to talk to cast member with tablet since it was down. One person couldn’t get fast pass times to stay loaded on bracelet. They would be listed with our group and then when bracelet scanned different times show up. Couldn’t fix it cast member couldn’t figure it out so wrote out paper fast passes! Wasted about 3 hours all together dealing with these bracelets. Did not have a magical experience and felt the money spent on the park was a waste and so frustrating ! I will agree, we just go back and I spent a lot of time getting this to work. We were using IPods to access the my Disney Experience App. While we could access the app, it soon told us the network wasn’t available. We only found 1 Kiosk which was at Magic Kingdom near the Peter Pan ride across from Its a Small World. I took wish we would have known where these Kiosks were! I’ve been told that (at this time) you still get the KTTW cards and can still utilize the old system while having MDE and the MagicBands in place. While experiencing certain problems, could you not just use the old system instead of the bands? Yes you still get the key to the world card at this time. But either the band OR the card will have your park admission on it, not both. But you can opt to just have the card (old system) and no band. We were there Sept 21-28, 2013. When we checked-in, the cast member insisted that we take our Key to the World cards with us everyday to the park in case there were any problems with entering, charging, or dining. And, yes, we were able to use our pre-booked Fastpass+ with the Magic Bands, and the traditional Fastpass system with the cards. We didn’t have any issues with any of the bands. We used them for lots of purchases, room entry, park entry, dining reservations, and Fastpasses. Thanks for the very informative podcast and notes. The magic bands sound like a positive change. I was wondering if, with all the information already loaded onto the bands, security for children would be improved. If a child got lost, they could tell a cast member who could simply scan their band and access their parent’s cell phone number so that they could be contacted quickly. What are they made of, do the bands have any latex in them at all? For those with latex allergies this is a huge problem if there is latex at all in them. How can I find out what is in the bands. Hi. Little confused about fastpass+ vs fastpass. If I don’t book fastpass+ ahead of time, can I still go to fastpass stations at parks or because of fastpass+, will they all be used and closed? If I book 3 per park using fastpass+, will I still be able to get fastpasses at the parks? And, how many will I be able to get per day? Booking fastpass+ already shows limited availability for the days I will be there. FastPass+ allows you to reserve 3 rides or attractions a day. MK has 4 right now but the other parks are 3. Fast Pass is just like it was before but I suspect it will go away at some point or change. So currently you can use BOTH FastPass+ to book 3 rides before you arrive on your vacation (Based on availability of course). And also use Fast Pass to get tickets at the Fast Pass locations around the park. Important: FastPass does not work with your Magic Band. It’s still like it was with scanning your room key or paper ticket to get the machine to kick out a ticket with a return time for you. I was told all my photo pass photos would be saved to my magic band. It was scanned by the photographer each time. But I can’t figure out what photo pass ID to enter to see my photos. Was on hold with the Photo Pass folks for 20 minutes today and had to hang up. Still can’t figure out how to see my photos. Do you know?? Other than the above, LOVE the magic pass. Got into our room, made all our purchases, used it as Fast Pass, to enter parks. No bugs. Any suggestions on how to see my photos much appreciated. Hi, The Photopass and Photopass+ on your magic bands just started about two weeks ago, so we were not able to test this while we were there, but I think I know what you need to see your photos. On the inside of your Magic Band, under your name, is a Band ID. This is on the gray inside center section of your magicband. That Band ID is unique to you. Enter that Band ID into your PhotoPass plus account just like a photopass card number. Just got back. Magic Bands were great. Used them in Epcot and Magic Kingdom. Made all purchases with them, used them for entry and for photopass. My question is how do you retrieve your photos from the magic band? Did you ever figure how to get you photos? Hi, If anyone has recently used your magic band to get your photos online once you got home, can you please post what the process was? I was able to view my photos by logging into my My Disney Experience account on the Disney website. I hovered over “MyDisneyExperience” and scrolled to the bottom under Photography where it says PhotoPass Photos. I clicked Disney PhotoPass and all my photos were there. From there you can choose to download or purchase photos. To download one photo it was $14.95. On your individual main page you can also choose “View Disney PhotoPass Memories” and it will also take you to your photos. We just returned from the parks as well. We stayed at the Poly resort for the first time and were magic band users. I set up the plan about 3 weeks before we arrived. I did alter my times and rides while there but somethings were quick to be taken ( Peter Pan). Overall the system worked for us. I never used a kiosk (or saw one). Using the app on my iPhone was easy. I did run into a few times where the app slowed or reported a “glitch” in the system and “please try again”. Never was a lasting issue. Will say that the bands were a welcome convience on this trip as I was traveling with 3 kids 6 years and under. Racing to get a fast pass? Forget about it. The band really came in handy for character meetings, Peter Pan, Winnie the Pooh, enchanted Tales with belle and the safari at animal kingdom. All were great experiences and we bypassed a very long line with just about 5 min waits ( instead of 45). We could not have done these in standby – the 1 year old for sure wouldn’t make it. Bands worked well at restaurants, stores, etc. kids liked them. They are comfortable to wear. Even my 1 year old stuck his arm out to wear his like it was putting on a shoe ( babies don’t actually need the band but they are offered one). My wish would be for 5-6 fast pass plus experiences instead of 3. Overall this system offers a lot for the traveler who is trying to juggle the needs of a family without having to race through a park or miss favorite rides due to long lines. which app for iPhone is compatible with magic bands. You want to get the ” My Disney Experience ” App. It’s free. Traveling to WDW in December and staying at AoA. I’m hearing a rumor that you have to pay for Magic Bands and Fast Pass +. True or False? Magic Bands are part of your Walt Disney World Package. So once they are rolled out to everyone you would get them for staying at Art of Animation (AoA) In testing Disney is slowly rolling them out to their different resorts. If I can’t go, can my season pass holder daughter enter with her own ticket them use my band to ride with the other family members? She’s the only one without a band. We have been asked to test the bands in November for our trip. We have one person in our party with an individual pass. Would it be an inconvenience for us to use it and that person not having one? Just trying to decide if we want to use them. WE are going to disney Jan 1st. Do you think we will be able to get the bands if we are not staying on the resort? Right now the Magic Bands are only given to Disney Resort guests, well and Annual Pass Holders. There has been no information yet as to if Disney will give day guests from other off property resorts the Magic Bands. It may be something coming in an additional release phase or Magic Bands might be something extra special just for Walt Disney World Resort guests. Either way I would think it would be unlikely that off property guests would get Magic Bands by January if that was part of Disney’s future plans. If we get more information we will be sure to post it. We are staying at the yacht club 12/2-12/7. Do you know if magic bands will be mailed to our home in advance? We received an offer to test these Magic Band for our trip in November. We’re going to DW a few days before a business trip and since this will be my husband’s first trip to DW, I’m kinda hesitant about testing something new. I don’t want it to ruin our trip if things don’t work. Are there any advantages to participating in the test? You can schedule your FastPass+ rides and attractions before you go and plan your vacation. Also you can link your Disney Dining Plan reservations to the App. The magic band will unlock your Disney Resort room door, allows you to charge anyplace on Disney property, etc. We only had Magic Bands for our last day (an added day to our vacation) and then didn’t have an opportunity to use them. I heard a rumor that you could use the Magic Bands at kiosks to Fast Pass rides without a ticket but never saw the kiosks. Any information about this? You can schedule Fastpass+ reservation on your mobile device if you download the My Disney Experience Application. You can also use one the the Kiosks in the Disney parks to schedule your FastPass+ reservations or to look them up. But when we were there in September the kiosks were very limited and not easy to locate. Disney was planning on adding more. We will be back in a few weeks and will report back. I just spent the weekend in Disney World. I was able to see my photos at guest services, they told me i would be able to see them online using my magic band. Well 3 hours later I am so frustrated because I can not use my band number to view photos! Sometimes technology isn’t so good! Should have just gone the old fashion way and got a photo card!!! Can you help me see my photos!!! We went to Disney last month and got the magic bands at our resort. We are going again on Thursday, but staying at the Shades of Green. I was wondering if the magicbands will work on this trip? We are season passholders, so our passholder tickets are linked to the bands. I was also able to use fastpass + on this trip. Yes your season passes and annual passes will stay on your Magic Band. So you will be fine. Have fun. We are just back from WDW and found the magic bands to work perfectly when purchasing anything. Since we do not have smartphones we had lots of trouble regarding the fastpass plus. We were told that the system was down for two days while we were there. I don’t think that was exactly true. The kiosks that were supposed to be in each park were not to be found. We saw one in one park. I’m heading up to Disney in early December and I’m confirmed to have the magic bands. My question is about the fastpass+. 1. If I remember right a regular fastpass will give you a time for when you are eligible to get another fast pass. How does that work with the magic band? For example if you have fastpass+ set up at 10AM, if you try to get another fast pass for say 10:30 will you be told you’re not eligible and you have to wait until a certain time? 2. I’ve looked for parades and it lists that it’s elgiible for fastpass+ but will not let me select times. Do you know if this is because there are no longer any fastpass+ available? Thank you for any information you can provide, I really appreciate it. I was only able to make fast pass selections for myself, but the rides I wanted to do were already booked. So I what I see coming is the need to schedule rides like dining experiences — 6 months in advance and after you’ve already paid the money for the trip. Anyone who wants to attach their credit card to a system so buggy and poorly designed is asking for trouble. I would wait to visit Disney until next year. Hopefully they can get the kinks worked out and actually train their staff on implementation by then. Meanwhile, we repurposed a 1st Visit button we found to a “Last Visit.” Maybe you can pass this feedback on. Is there any information as to when Annual Passholders will be getting the MagicBands? The last few times we have gone to the parks, we feel like we are the only people that don’t have the Magicbands yet. Kinda frustrating watching others zooming through the Fastpass+ line with their Magicbands.. When we were there we had several AP holders on our reservation and we linked them and the FastPass+ for everyone to our reservation. Now we all were staying on property at a Disney resort. If you are not staying at a Disney Resort then I dpn’t believe they have FastPass+ out for AP holders yet. I am heading to WDW in a few days and will find out more when I am there. I have not heard of SOG being added to the Disney test resorts. I am not sure if SOG will be getting them or not. It appears not so far during testing. If news comes out I will be sure to post it. We are traveling in a large group. 4 of us have annual passes one does not. Staying Christmastime at Caribbean Beach resort. Do us annual passholders, who already have pass cards, get the magicbands like the rest of our party? Side question: my husband still needs to pick up his annual pass with photo if and knows lines everywhere will be huge Christmastime. Any advice on where he can pick it up without waiting in a long line at MK ticketing or in guest services? If everyone is staying at a WDW resort you can get Magic bands that will act as your Annual Pass. So the Magic Band will now be your AP for admission and for FastPass+. If the AP holders are NOT staying on property, currently you just get the hard ticket AP card and no Magic band. I would pick up the AP for your new member at really any of the parks. They have been full staffed since Magic Band testing started so the lines have been short. Thanks Steve! We are all staying on site so hopefully it will work out and we will all get them! We have three rooms booked and it’s a mix of annual passholders and non passholders in the party so wasn’t sure how it would work. I’m guessing my card annual pass will become void after getting the magic band. All a little confusing but I like the idea of the bands. Got a letter saying we could get magic bands BUT we could not find a link to order them. Any ideas. I have papertickets and I was able to load them in my Disney experience. If I bring them with us and want to get fastpasses would I scan those tickets or the magic bands or will either work? Sign up for an account and get the App too. You can pick your band colors. Or get the Magic Bands at Check in at Disney but they will all be gray in color. We’re staying at a Disney resort now… so far so good. No problems with the Magic Bands whatsoever. Everything is working as it’s supposed to. The Disney app on my Droid phone is a bit buggy – and we found that using with the park’s guest WiFi is problematic, and switching to my data plan usually resolves that. The app itself needs a little debugging, but otherwise, it’s a nice tool. So We are going in a few weeks and we have magic bands. When we get to the airport do we have to go check in to our hotel first or can we just use our magic bands and go straight to the parks and check in later in the evening when we get back? If I could avoid the long check in lines at check in time I would love that. You can go right to the park. If you have a Disney Vacation Package with a Disney Resort room and park tickets together then you can just go to the park right off. What do you do with your carry on luggage from the plane? And thanks for the response. I bring it with me on Magical Express or in my rental car and just leave it in my room after I check in. Or if my Disney resort room is not ready I check it at Bell Services. Going in a few weeks!! How are the Magic Bands doing? Can you use Fastpass plus with regular fastpass if you have bands and cards? Thanks! I’m wondering if I should opt out of Magic Bands? You should be fine with Magic Bands. You can also get regular fast passes with your key to the world card but recently those machines are out of fastpasses first thing in the morning or are covered up all day. So reserve your fastpass+ rides and attractions online before you go. We just got back from Disney and the magic bands worked great. Even our 5 year old had no problems with it. Sometimes we had to put our wrists in weird positions to line up mickey but by the second day we got it down we had problems with my disney app on iPhone when trying to cancel reservations. It kept disconnecting. Also, when I got home I went to the photo pass section and found out that all of the rides that took pictures of us were synced up to my page. How did they know it was us? Did you have a Fastpass+ reservation for those rides that took your photo? I just got back from WDW and the bands were great! I had absolutely zero problems. In fact, we were even able to use them at Downtown Disney in a few of the Disney related locations that we visited. No problems getting in the room, no problems getting in to the parks, no issues with our room key…it was all so easy and wonderful. I loved the FP+, and then being able to use our “tickets” (the seasonal pass cards) to get extra fast passes for other stuff…I do have a question about the bands: we’d like to use them as our regular seasonal pass and keep them linked up to our CC, even though we aren’t any longer staying in the hotel on site. One thing I didn’t like was the band itself, as it didn’t exactly fit, b/c part of it was inflexible. I kinda wish it was a bit more like a watch. I have a large group Of Pop Warner Cheerleaders heading to national competition at the sports complex Dec 9th – 13th. We all purchase 3 or 4 day tickets and are scheduled to stay at ALL Star Music Resort. Do you know if the bands are in full use yet? I am concerned with a large group that something will go wrong. We were there the same time last year an d had 0 issues using the cards. We just went for three days a couple of weeks ago to All Star Sports and got the Magic Bands. They actually have rows and rows of them with everyone’s names on their boxes behind the front desk. So I got my Magic Band (Yellow) at Check in. I did not add Fasttpass+ attractions to it before I traveled or my park ticket, but I could have. We actually spent three days at All Stars Sports / Walt Disney World and had a blast. In three full days we rode just two rides because we did so many other fun things at the parks. Have a great time. Oh we have a recent Mouse Chat show also about our All Star Sports Trip. If you use the Magic Bands and the Fastpass+, will you be able to get regular fast passes? If you are able to do that, how is it done? This are constantly changing with My Magic Plus and FastPass+. As of now you can use your key to the world card to also get regular FastPasses. However lately the regular fastpass machine have been covered up. This is leading some to believe that maybe the regular fastpass machines are going away. So if you get a Key to the world card and a magic band AND IF the fastpass machine are in operation, then yes you can also use the original fastpass system. Question about the RF bands. I’ve recently had identity stolen by someone using one of the RF readers close to me while I was shopping. Still in the process of having that nightmare cleaned up, they stole 3 card numbers at that time. Is it possible for someone to steal credit card info from these bands if they are close to me with one of these RF readers? I currently try to carry cards without RF chips in them and those that have them are placed in a blocked wallet, at least I hope its somewhat blocked. My second question has to do with not pre-ordering bands. If we choose to have the ones from the resort are the bands a different color than grey if we stay club level like the cards use to be for club level? Not really of great importance but just wondering. Thirdly, as someone else asked previously, is there latex in the bands? We travel with a family member who has a severe latex allergy. The bands themselves contact no credit card data. The band just ties you to your account. So it has a band ID number which is useless if someone else had your band. For your second question, if you do not pre-order you will get the grey bands at check in. We stayed club level during our testing at one of many Disney resorts and our pre-ordered bands worked fine to operate the elevator to get to club level, however there was nothing different about them. It would be cool to get a slider or bandit that is special when you stay club level. Also there is no latex in the magic bands. Have a great time at Walt Disney World. I’ll be interested in heating experiences with this new tiered system. When we were in the testing group in August it worked well, with getting 3 or 4 FPs for any attraction. But with this new tiered system of only 1 FP for a headliner, then 2 FPs for attractions you’ve never needed a FP for, Capt EO? I don’t see as good an experience for our January trip, sadly. We are at Disney for 11 days. Each day we get 3 fast passes- 1 tier one and 2 tier two. We didn’t receive a key to the world card, so we aren’t able to get any more, but a party traveling with us staying offsite, was able to get 9 fast passes today. The paper tickets at Magic Kingdom made it so they could get more fast passes than if they stayed on site. Thanks Tanya for that update. Disney reported recently that off site guests will be able to use a new kiosk system when they enter the park to get Fastpasses. It sounds like Disney still had the original paper ticket FastPass system in place still and has not switched over yet. It will be interesting to see what the kiosk FastPass+ allows offsite guests to book once everything is done with test and adjust. I am concerned about Sue’s comment regarding only one of the fastpasses being for a “headliner”. Is this true? We are trying to decide whether to sign up for these magic bands or not and there seems to be some unanswered questions. Currently you get to select three attractions a day with FastPass+ and reserve those in advance of your Disney World vacation. Disney has been testing groups attractions into categories. It’s almost like the old A-E ticket rides if you remember that setup. Using that analogy you get 1 E Ticket ride a day that you can reserve and two other non-Eticket attractions. Things change often during this test and adjust phase so it might stay this way or could change again as Disney reviews feedback from guests. We just got our Magic Bands and are very excited! One question, do you happen to know what they are made from? I know it’s latex free but I am actually allergic to rubber not latex. I can usually smell it but I’m always leery because of breathing problems after. The last similar item I purchased that had a similar “feel” was a cell phone cover. An inhaler, two Benadryl and a scary 20 minutes later I had to clean my phone and throw away the case. Any idea? Thanks!! Yeah Disney always posts that they are Latex free but I have not seen what magical substances they are actually made of posted anywhere. NEW FASTPASS PLUS IS A MONSTER – This has made attending the theme parks a HORRIBLE experience for those not staying at Disney hotels. I visit the Orlando Disney parks every year during the last week of Dec. This is the last time I go to Disney. On one day at Epcot, we were only able to go on three rides in the ENTIRE day!!! The lines for Soarin and Test Trac were 3.5 hours because now Disney gives every one of their hotel guests a choice of 3 Fastpass rides per day. Imagine the thousands of hotel guests booking the rides up to 60 days early. This equals ridiculously long “Stand-by lines”!!! The regular lines are now truly standby lines as the priority is for the Fastpass holders. Prior to this horrific Fastpass Plus, everyone had an equal chance to get Fastpass tickets, and yet not everyone searched for them. Now, every single Disney hotel guest will get the passes, thus leaving the day-trippers and non-Disney hotel guests in the cold!!! There is no point in going to Disney if you are not planing on staying at their resorts—it is a waste of time and money!!! FASTPASS PLUS WILL RESULT IN DISNEY LOSING A KEY SECTOR OF PARK VISITORS — THEY WILL NOT RETURN AFTER SEEING THE SECOND-CLASS TREATMENT OF THE PUNISHINGLY LONG “STAND-BY LINES”. THIS IS A LOSER FOR DISNEY. Have to say,last year at that time of year the queues were the same and probably worse. Totally agree with you, Chuck. I’ve gone twice – once as a Disney resort guest and once as a “visitor” staying at a local hotel. If you are not staying at a Disney resort, you will absolutely be treated as a second-class citizen. We just returned from a week at Disney World over New Year’s. We go to Disney World every year so our family def. knows the ins and out of Disney. The Magic Bands do have some perks but we weren’t thrilled with the bands being used for Fast Passes. You used to be able to get other fast passes 2 hours after you made other selections, now you only get 3-4 fast passes for the whole day. I find this to be a huge inconvenience. Other than that, the Magic Bands seemed to work well. We are planning to stay at Shades of Green during the last week of September, 2014. Are magic bands and fast pass + available to guests of Shades of Green? They are not available at Shades of Green. this may change, but right now it’s not available. Just back from wdw. We stayed jan2–jan9 @ floridian. This trip cost close to 6k and we drove to fla. disney has a big problem–to many people in mk at same time. We were told after jan1 the crowds drop a lot. We certainly were misinformed and very disappointed about over crowding. Thankfully we know wdw well and worked around this as well as possible with park hopper etc. we really felt bad for 1st timers because the money spent on park tkts was money wasted if they wanted to enjoy rides. Im speaking for many folks.the previous 4yrs we went 1-2wks bfore christmas and that got to crowded also.we wont be returning in this time frame.arm bands worked well but the disney app from a iphone was about a 2 on scale of 10. Constantly crashed. Front desk at flordian was helpfull as they had no prob getting fp assigned for us. Hope this may help inform people what may be expected at these times of year. Hi. We are planning a trip in September. I can get discounted tickets through my job and we are planning on staying at POP. Can we still get the magic bands to link to our park tickets or will they just be room keys for us? We’re trying to save a bit of money but would still like to try these! Building on the success of the MagicBand testing at Disney’s Pop Century Resort and Disney’s All-Star Resorts, Guests staying at all Walt Disney World Resort hotels will now receive only a MagicBand (not a Key to the World card) to use as their room key and more throughout their stay. Upon check-in, Guests will receive their MagicBands, if they did not already receive them at home. Front Desk Cast Members can provide a RF-enabled Key to the World card instead of a MagicBand if a Guest requests it. This card functions the same way a MagicBand does, including the “touch to enter” resort room, “touch to enter” Theme Parks and Water Parks (with valid Theme Park admission), “touch to pay” (optional), “touch to redeem” FastPass+ selections and “touch to associate” photos features. A small number of Guests will receive an RF-enabled card (in addition to a MagicBand) for use on common-area doors. This includes Disney’s Fort Wilderness Campground Guests, as well as concierge-level Guests who check into their Resort before their room is ready. These cards will not offer the functionality that a MagicBand provides. Hi Steve – I’m confused and could use a little help. This will be our first year with an annual pass. I haven’t ordered it yet. I planned to sign up the day that we go. If I buy it in person at a park, will they give us a physical AP there? If not, do you recommend I buy one ahead of time or are they not even making/offering them aanymore? All these magic band issues are going to be awful for my husband and I MAY be allergic to latex (sometimes I react, sometimes I don’t)… Also, is there a fee for the magic pass+ service or is that fee with your annual pass or perk of staying on a WDW property? It’s really a brilliant idea and must be having a serious impact on line crowds… I look forward to hearing from you! thanks. You can purchase your AP at the park. They will issue you a hard plastic card, no magic band. If you stay at a Walt Disney Resort they can transfer your AP from the hard plastic card to the Magic Band you get with your room. Or if you like you can keep them separate. If you move your AP to a Magic band AND you are staying on property, then you can pre-book fastpass+. In the works now is a Fastpass+ setup for APs and FL residents. So that’s still in the works. I have been told these bans are hypoallergenic so you should be fine, but you can just keep your AP off the Magic Band too. My Magic+ is part of your Disney Vacation Package so there is no extra fee. Have a great vacation. We are travelling from the UK in September for a 3 week visit to WDW. We are staying at the Wyndhma Bonnet Creek resort for this period but in between we are booked into the Yacht Club for 4 nights. Will our Disney ticket be added to our Magicbands for just the 4 days on site stay or for our entire period?? For Fastpass+ you will only be able to prebook your rides and attractions for your onsite stay part. When you login to My Magical Express online it will let you pick rides and attraction during your onsite stay IF you have tickets as part of your package. The other part of your stay you will visit the FastPass+ Kiosk at each park and select your fast passes for that day. Have a great time. We are going to WDW soon with two young special needs children. I’m wondering if it might be better to attach their bands to their backpack. How easy is it for a child to take the bands off? Sure. You don’t have to wear them, just just want to be able to access them for park admission and for the fastpass lines you have booked. Also stop by Guest Services at any of the parks to get a DAS card for you and your family. It is the new Guest Assistance Card / system and that will also help you out. Thanks for all of the info. If I am an annual pass holder who stayed at a resort to receive a magic band, will I be able to make advanced plus reservations in the future or only the days of my stay? Yes, if you are at a WDW resort just login to My Disney experience, Select your magic bands and rides and attractions. Have a great time. We are FL AP and my children are 7 and 3. Will they be able to get the MagicBands? We got selected to participate in the testing phase but I can only order 2 MagicBands for myself and my husband. Is this because my children don’t have email accounts? I wanted to order theirs the same time as ours. Thanks for all your thorough information! If all of you have the same Florida Annual Passes I would think you all would be in the same test group. I would call Disney and see why you don’t see your kids FL APs. You might need to add them to My Disney Experience if you have not already. This happened to us as well. When I checked my app it only had my husband and myself as getting bands. I called Disney and they found that my room only had us down with no mention of our kids. All I had to do was have them add my two children to the reservation and the next time I checked my app all 4 magic bands were being sent. Be sure to check your reservation. The Disney MagicBands are used for: room key, charging, park admission and FastPass+. The main one you will not get is FastPass+ advance ride and attraction booking via My Disney Experience online. So you can not book up to three fastpasses before your trip. You will have to go to the park itself, go to a Fastpass+ Kiosk and select up to three fastpasses for that day. This of course is based on availablity and also the kiosk or cast member with a tablet device system gives you a few preset options. So it’s not as customizable. You select the best ride / time “package” and that’s your fastpass selections for that day. Have a great Disney vacation. Just got back from Disney yesterday and stayed at the Hilton Lake Buena Vista. It is very difficult to get fast passes without the magic band. I got up two days and got to the parks before they opened and still was not able to get fast passes for the rides we wanted. I also go to Disney often but won’t be going back until they work out issues with the magic bands. Thanks for the update Caroline. I have heard this from several people. We had someone there last week to test the FastPass+ Kiosks at Disney Hollywood Studios at Rope Drop (Park opening) and they were the first people at the FastPass+ Kiosk and Toy Story Midway Mania was sold out. So it appears that they are all taken by pre-booked advance reservations from onsite Disney guests. Disney is still in Testing with the system so they could be experimenting with holding so many slots open for certain rides. I have a feeling it’s going to have to be a delicate balance to get the mix just right. I have received my tickets to disney world and have linked them to my app. I’ve been able to make dining reservations but when I try to use fast pass+ to schedule events it will only let me do it for my husband and myself. It keeps saying that my kids are ineligible for my magic+. I don’t understand why. I’ve received magic bands for all of us. Any ideas? Are your kids on your Disney vacation package and have park admission? This happened to me last week and I contacted Disney thru the “help” feature in the MyExperience app. I had already been mailed my magic bands and one of my daughter’s was listed on the My Experience appas not being eligible (her fast pass selections disappeared after I had booked them several weeks before). Disney sent me an email response quickly and sent my daughter a new magic band in the mail within three days. Disney also said that some of the reservations would list “1” or “2” in the My Experience calendar when I had a reservation for 6 (such as with dining reservations) but when I opened the reservation in the app it would show “6.” Just a glitch in the software. Me and my wife will traveling to WDW on July 4th. We purchased our trip through AAA. We are not new to Disney, but have a couple of questions. I read through the forum and find that the bands are getting better. We are still not sold on the bands but find it interesting to at least try it. I want to can we get the band along with the card or do we have to chose either or. At one point they were giving you both but now they have gotten ride of the Key To The World Cards. If for some reason someone can not wear the band I have been told they can get the card instead. But it’s no longer both. You also need to sign in to My Disney Experience online and order your MagicBands and book your attractions. decision about buying park hopper tickets in the future. We found that by being committed to 3 fastpasses in one park it was more difficult to park hop and make use of our tickets. If Disney were to allow you to schedule your fastpasses at different parks then the park hopper ticket would make more sense. Just a thought. Hi we arer going in May and staying at Art of animation, we are a big group of 20 with wide arranfe of kid ages from 17 to 2, quick question are they still doing the tiers with fastpass+ at HWS Epoct? question2 I heard you can scan your magicband for the magical express from the hotel is this true? You are going to love the Art of Animation resort! We have stayed several times and it’s perfect. So to answer your questions. Yes Disney is still testing the tiered system at DHS and EPCOT. For Magic Express that is a good point to bring up. Everyone traveling on Magical Express should have their MagicBands in a carry on bag or wear them to start your vacation early. I just wear mine on the flight, yeah I know, but then when you walk up to Magical Express at ORL you don’t have to fish it out and you jump on your bus. We are heading to WDW this July. We are getting annual passes, but will be staying off property. Will we be able to get the bands? We will also be traveling with someone who won’t be getting an AP. Is that going to cause problems when we try to get fast passes? Three of us will have the early fast pass and 1 will be stuck in the standby line? Thank you for your help! As part of the test and adjust process for MyMagic+, all Passholders are now eligible to customize MagicBands and make FastPass+ selections in advance. Passholders who link their Passes in My Disney Experience will see the option to customize MagicBands and can place their orders. Passholders will receive their MagicBands, a black or gold Passholder discount card and an exclusive Passholder MagicSlider. Communications and directions will be sent to Passholders via email and direct mail over the coming weeks. we are from germany and for us it is not possible to order the magicBand before, because shipping is only possible to an US adress. So we have to pick up our MagicBands at the front desk. We don’t wanna have grey ones. Is it possible to buy different colors at the resorts or parks and transfer the passes and other features? You can not buy different colored ones BUT you can but Magic Sliders and Bandits as well as these colorful cloth wraps. They sell these to decorate your MagicBands at all Disney Resorts in the shop. Disney programs and adds your name to the colored bands. I am not real sure why they only offer grey at the hotel. It would be nice to have at least a couple of options at Check In if you book too late to get the colored MagicBands sent to you. I am sure new colors will come along as the years go by, but right now I think Disney is focused on testing and getting the system right. Once that is done, I bet we see new colors maybe in 2015 or later. We will have to wait and see. Now I’m in contact with the casts of disney experience. I hope they can help me to choose a colored magicBand. At the App there is no option to choose a color for international guests. Hey should be able to get you sorted out. I called to get some issues resolved with our Magic Bands for our next trip to Walt Disney World and they got it taken care of very quickly over the phone. Our kids Annual Passes were on my wifes account and the rest of the tickets on my account and also my wifes ticket number would not link to her band. They got everything all set. BTW the most popular color is PINK for the MagicBands. Have a great time at Disney World. Hi, im going in april and I received an email about getting my magic bands but I keep seeing such bad reviews on them and I was wondering if I need to get them or can I just go without them? I really dont wanna loose any time with problems since we are only going to for 2 days. I want this to be fun and stress free. The issues have been around FastPass+ mostly. So be sure to pre-book 3 rides / attractions before you go and you should be all set. Have a great time. We will be down there too to do more My Disney Experience Testing with a new set of MagicBands. WDW Magic, a Disney Fans site, is reporting that Fastpass+ and My Disney Experience will be available now for day guests coming to Walt Disney World. As with Annual Passholders, the offsite day guests using regular single day or multi-day tickets will be able to make FastPass+ reservation up to 30 days before their park visit. MagicBands will be available to purchase, although are not required to use FastPass+. The RFID enabled ticket media can serve as the entry to FastPass+ attractions in place of the MagicBand. We returned from our Disney World vacation today and the problems we encountered with the My Disney Experence app made me realize that spending more than $10,000.00 for hopper passes for my family is not appreciated by Disney or 98 percent of their staff. My husband and myself, our three daughters, and our six grandchildren went to Disney World for 4 days during spring break. My tickets would never link to the app although my daughters and our grandchildren’s did link to their apps.. They were able to reserve fast passes for rides but since my tickets would not link I could not reserve fast passes until we arrived at the park, and they were all gone by that time. My option was to either not ride with my grandchildren or deprive them the option of using fastass. I waited in line at guest relations at Animal Kingdom for over an hour, at Epcot, and called the number listed on the app before finally giving up and realized that I do not exist as far as Disney is concerned. My entire family got fast passes to the Main Street Electrical Parade except my husband and myself because we were locked out of the system. I called the number listed on the app to try to resolve the issue on Monday night because the fast passes were for Tuesday night. She asked for permission to access my account then proceeded to tell me the same thing I already knew that I had been locked out of the system for some unknown reason (I was connected to four people wasting 4 yes 4 more precious hours of my vacation time with my grandchildren) only to be told to see the employees of Magic Kingdom an they would make it right. I told her that so far no one had tried to make it right that I had been made to feel stupid (told at Epcot that Disney knew it would lose some old grannies who were not tech savy) the rest of your family can ride soarin but you can’t ride with them, you can wait 120 minutes and get a fastpass for something that I could care less about. Have a magical day! The young, smart, clever, man at the fastpass kiosk at Magic Kingdom was the worst. He told me that there was no such thing as being locked out of your account, he laughed. I gave him my iPhone 5, my password, and my ticket and asked him to link it. He brazenly told me that he would be glad to. When he couldn’t his equally clever neighbor at the next station wanted to try telling me that I must have done something wrong. When he failed to link my account rather than apologize as he should have done he berated me by telling me that fast passes were a free service and not guaranteed that I could still go to the parade just not with my grandkids. By the way their tickets actually cost less than mine did. All I asked for was to be with my family, really not that much for TEN THOUSAND dollars. I love my children and grandchildren so rather that ak them not to use fastpass, I made my peace with the fact that I would just enjoy watching them and not expect to ride or see anything else with them. I am not upset that this app has MAJOR flaws, I am upset at Disney for not realizing that famlies want to be together and being treated with no respect. I save my money to do things with my children and grandchildren so next year we will be going to Universal and see if they value this old granny who may not be as tech savy as some people but this mistake was not mine,it was Disney’s. We have a Magic Band from our last trip. Should we keep them for the next time we go, or do we throw them away? Cute! Having said that, there isn’t any info left on the band that I need to be afraid of anyone obtaining, correct? As a fairly regular lifelong visitor to Walt Disney World (Orlando) (I’m over 40 now), it is still one of my favorite destinations for vacation—especially now with my children. However, they could take a cue from Universal Studios Orlando (which oddly enough, my kids prefer over WDW) in a few areas, particular in the FastPass option which is source of contention right now. We booked our weeklong family vacation (admittedly, it was a peak crowd season) for April 2014. We stayed on Disney property at Port Orleans (French Quarter) which was very nice. Nothing fancy, but well-kept, clean, a courteous staff, and easily accessible and mere minutes from all of the Disney parks. The sole reason we chose to stay on property this time, as opposed to offsite like we usually do, was because of the new FastPass+ (MagicBand) program being offered. Our mistake – we should have read the fine print a little closer. I’d like to point out, the bands themselves are a terrific idea. An all-in-one pass that is always on you which acts as your room key, photo pass, park entrance admission, optional food plan payment, and FastPass+ for the rides. This is where the problem comes in. Universal charges a flat fee (much higher than the base ticket price, but well worth it if you want to maximize your time doing fun stuff and not waiting in long lines). With their plan, once you are in the park you wear a lanyard with your ticket that gets scanned on ANY RIDE, at ANY GIVEN TIME OF DAY, AS MANY TIMES AS YOU WANT. Perfect!! We got through both parks (Islands of Adventure and Univ. Studio) in one long day and got to ride everything we wanted (sometimes twice) and never had more than a 20-minute wait in line, even when the Standby (regular) lines were anywhere from 60 to 100 minutes for any given ride). Again, well-thought out and worth spending the extra money. All in all, while it was still an enjoyable trip, I can’t help but to feel slightly cheated and misled for thinking that choosing the onsite property and MagicBand option might give us an advantage. While true, our wait times weren’t as long as riding Standby, I simply don’t feel the 3 attraction limit per day really justifies the cost of what they are “selling” you. Next time we will either save money and stay somewhere else in between Universal and Disney, or perhaps even just set our full vacation time to other parks that are NOT Disney. Not until they can figure out a better system….and rides that aren’t shut down as much. I understand how to book a FP+ reservation on the computer for my family. My question is this: Does everyone in my family or party have to go with me to the kiosk to get new FP with the magic bands or if I am the main person in the account, can I just go and save them the walking? Is the booking kiosk like the computer process? I do have the my disney experience app so can I use this app to book additional FP without needing kiosks? Just one person from your party has to be there. Of course you all need to be linked together in My Disney Experience. When you pull yourself up it will show everyone that is linked to you and you select the names from there. They also of course need park admission. We will be traveling to WDW in February 2015. Being a military family we will be utilizing the military discount for tickets. Staying at Shades of Green or a WDW resort is still up in the air. We have to buy tickets when we arrive either way. If we stay at WDW resort and purchase hotel only option would we still get the magic bands? And if we decide to stay at Shades of Green and purchase the bands when we get there, will they provide full benefits besides the room key? Hi, My husband and I have a trip booked for October staying at All Star Movies so we have the option for the magic bands. My question- We are visiting friends in Florida who also happen to work for Disney and will be getting us into the parks for free using their guest passes. Will we be able to schedule fast passes once we’re in the park? I understand that getting into the parks for free is a huge benefit, I’m just wondering if we will be at a disadvantage in terms of waiting in stand by lines, etc? Thanks for your help! If you don’t have fastpasses prebooked then yes you are going to have to book them at the park at a kiosk, or if the Wifi / My Disney Experience App is working you could do it that way. Look for a FastPass+ Kiosk when you get there and book your fastpasses. The only thing is that very popular rides will probably already be gone as they pre-book quickly and you will have to ride standby. I have to think Disney leaves a small number of fastpasses for just that day, but if they do those would vanish almost instantly. Hi Steve. My fiance and I are going to Disney World for our honeymoon at the end of February 2015. We will be using the magic bands. My question is, can you have separate credit cards linked to separate bands? We are fortunate in that my fiance’s parents will be paying for a portion of our honeymoon so their card will be on my fiance’s band. Can I add my credit card to my band or will everything be charged to the credit card on the mydisneyexperience account? You can have two people in a room and both can give their credit cards at check in. We did this with a group we had that had rooms with two different people sharing each room and each person got to tie their credit card to their Disney magicband. We did this when MagicBands were in testing so it was at least a year ago and at that time the charges got all mixed up on the room folios. So hopefully by now that bug has been worked out and you will be all good splitting them up. Have fun. Does anyone have any update on using the bands as a day guest? We are staying offsite in May 2015. Wondering if it is worth buying the bands for my family of 5? I’d like to do the Memory Maker package as well. Is it worth it to buy the bands? Your park admission ticket does the same thing as the Disney MagicBand, except you can wear it on your wrist and decorate it. So it’s more for fun and convenience for day guests. Hello, I am going to WDW in a few weeks. My family and I are getting the magic bands. I just have a question. I am going to a convention for 3 days of my vacation. My job reinburses me for my food, drinks and snacks for those days. Will I be able to get an itemized print out of my expenses if I just use my band. Or do you think I sm better off just paying for things the old fashion way and getting a receipt? Thanks! Wow going to Disney World for Work and Family, sounds like fun! Yes you can purchase everything you need on your magic band and it will go back to your Disney Resort hotel folio. Then you will get an itemized bill under your door the morning of check out, or run down to the front desk if you are not on express checkout. You can also keep the individual receipts from the point of sales when you use your magic band to buy something.